I am truly excited about being part of this fabulous Blog Tour of 21 books by John Le Carré over 21 days by 21 bloggers, so huge thanks go to Sarah Wright of Penguin Press for the invitation to feature ABSOLUTE FRIENDS. This is the largest collection of books to be included in the Penguin Modern Classics series by a living author. The end of the tour concludes with The Little Drummer Girl which is to be broadcast as BBC adaptation very soon. Penguin Classics represents the greatest repository of our shared cultural imagination and treasure trove for readers. Penguin Modern Classics launched in 1961 as an ever evolving list of books from the 20th and 21st centuries that have achieved classic status. The modern Classics list is continually expanded with contemporary authors whose works are considered timeless. Broke and working as a tour guide in Germany, rootless Englishman Ted Mundy catches a glimpse of an old friend hiding in the shadows. A friend he thought was lost to him. A friend who took him from radical 1960s Berlin to life as a double agent. Now, decades later, the Cold War is over and the war on terror has begun. Sasha has another mission for them both, but this time it is impossible to tell the difference between allies – and enemies. Set in a world of lies and shifting allegiances, Absolute Friends is a savage fable of our times. Friends come and go in your life but on rare occasions there is a special bond between two people, a friendship that lasts over decades. That was how it was with Ted Mundy and Sasah. Mundy I felt was a man who didn’t seem to belong anywhere, like he had no roots that he felt at home with, so when he met Sasah it seemed like he had an anchor, somewhere he could keep returning to and knew who he was. The friendship began in student days where they took part in the normal radical demos in the 1960’s. It was a few years later that the two would meet again. Sasah had discovered about his father’s past that tainted his own life and Ted had married, got a son and was teaching. Sasah was eager to recruit Ted into the world of cold war antics of spying. Sasah was playing both sides as a double agent himself. Quite a chunk of the story is set in Germany, where information is passed back and forth from East to West but even the Berlin Wall can’t keep the pair apart. Sasah in the East and Ted in the West. These are the days of thriving spies, that seemed to be in sheer abundance, at a time not too long after the great war and yet long enough to have built this divide in Germany. It seems that Ted Mundy isn’t always a lucky man to be a round for people who know him. When the wall comes down it leaves Ted and Sasah in a kind of no-man’s land as far as spying goes. With the wall gone Germany had once again united leaving them sort of out of the loop. The story really does make you feel like you are back in time as John le Carré brings it all to life. There is rather a lot of characters in the story, with leaps in time and changing attitudes created by Governments and politicians. I know that the end of the story is a little divided by the how the readers feel. I really liked how it all came together at the end. This is my first book, by this author, but a couple of other titles have piqued my interest. A fascinating story of espionage, friendship and loyalty. 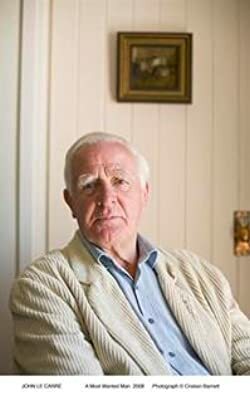 John le Carré was born in 1931. His third novel, THE SPY WHO CAME IN FROM THE COLD, secured him a wide reputation which was consolidated by the acclaim for his trilogy TINKER TAILOR SOLDIER SPY, THE HONOURABLE SCHOOLBOY and SMILEY’S PEOPLE. His recent novels include, A Most Wanted Man, Our Kind of Traitor and A legacy of spies. 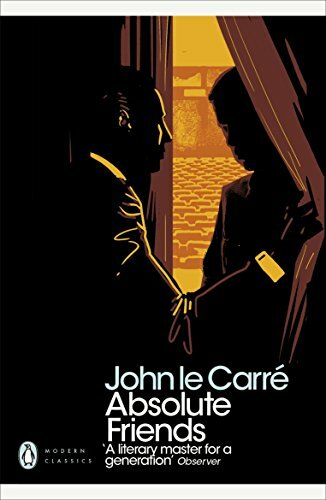 John Le Carré is represented by Jonny Geller at Curtis Brown. Surprisingly enough, I was between reads at the moment – I’ll read a John le Carré next! Thank you for this wonderful blog post!